The southeastern U. S. coastline, particularly the Gulf coast of Florida, contains some of the best shelling in the world. 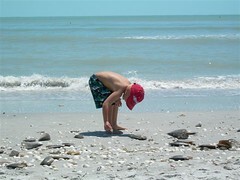 Sanibel Island and the surrounding area, including Captiva Island are situated just right for “catching” the shells in the current of the Gulf waters and when visiting you’ll find yourself doing the “Sanibel stoop” right along with all the other tourists who are hoping to find the best beach treasures. When you are tired of shelling on the beaches, take a shelling cruise to the outer islands which are only accessible by boat, where the crowds will be fewer (I assume) and search for more treasures. Taking living shells is NOT ALLOWED – in fact, it’s against the law on Sanibel and in the area. 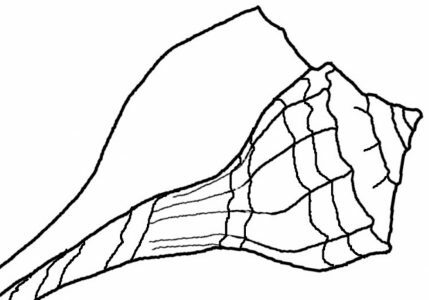 I’ve never visited the The Baily Matthews Shell Museum on Sanibel Island, – it wasn’t built when I vacationed there and opened in 1995 but every shell collector should find it interesting, and most likely helpful in identifying seashells. The Museum contains tons of seashells (of course), but also a history of the Calusa Indians and how they used shells in daily life. Here is a listing of exhibits at the museum.